It's shaping up to be another amazing week at Sports Cards Plus, a.k.a. The Super Hit Factory. Tons of great new products; we're restocking all your favorite products and we will continue to give 1 to 15 FREE Panini Black Friday Packs with your purchase of ANY Panini product ($50 or more). 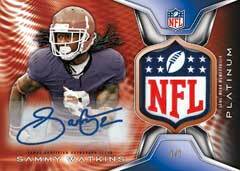 Due in Wednesday is 2014 Bowman Sterling Football for $249.99 per box. Each 6-pack box delivers: 4 Rookie Autographed Cards; 1 RC Auto Relic Card; 1 RC Auto Patch Card; 6 Dual Relics OR Dual Patch Cards; 1 JUMBO Rookie Patch Box Topper OR 1 Autographed Purple Wave Refractor Box Topper! Buy them by the box or by the pack ($49.95 per pack). Every Pack gets you 1 Autograph and 1 dual relic or dual patch card. Due in Wednesday is the much anticipated 2014 Topps Platinum Football ($89.99 per box). Each box delivers 2 Autographed Rookie Cards including HARD-SIGNED signatures and 1 Auto Rookie Refractor Patch Card. Every box also includes 5 X-Fractor Parallel RCs, 1 Black Refractor RC and 1 Platinum Die-Dut RC. With 3 Autographs per box and other great inserts, 2014 Platinum Football is a winner. 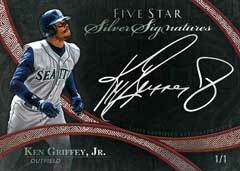 Due in Wednesday is 2014 Topps Five Star Baseball for only $409.95. Every pack includes 1 Autographed Relic or Silver Signatures Auto or Golden Graph Auto, 4 Five Star Autographed Cards and 1 Additional Five Star Autographed Card or Cut Signature or Legends Relic or 1/1 Relic. With Topps Five Star, think just a notch below Dynasty Baseball for ONLY $69 per card! Due in Wednesday is 2014 Bowman Draft Picks & Prospects Baseball. Hobby boxes (1 Auto per box) are ONLY $62.95, Jumbos (3 Autos) are $132.95 and SUPER JUMBOS (5 Autos) are $219.95. 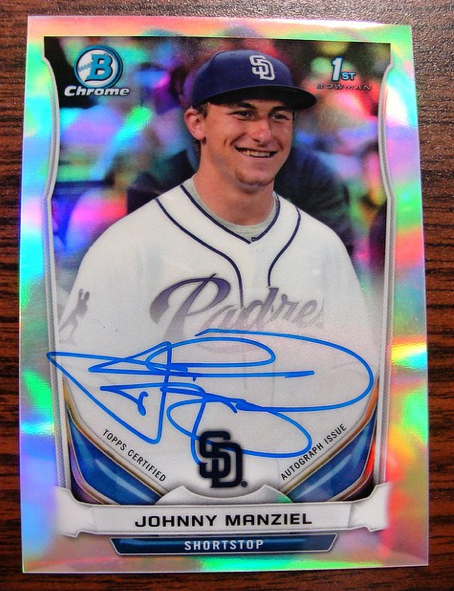 Find Johnny Manziel Autographed Draft Pick Cards and autographs of all the top prospects and draft picks from the 2014 Baseball Draft. FIRST ONE to pull a Johnny Manziel 2014 DP & P Autographed in my store (must be opened in my store) WINS $100 at Sports Cards Plus. Also due in Wednesday and through the week are restocks of all your favorite products. 2014 Panini Crown Royale ($89.99) is hot and continues to satisfy. Get 1 to 15 FREE Panini Black Friday Pack with your purchase of ANY Panini Product $50 or more. Get a FREE Upper Deck 25th Anniversary Pack with each $100 spent on ANY Upper Deck Product. And get a FREE entry into our $500.00 Drawing with your every purchase ($20 or more). So, what are you waiting for? Pick your box from The BEST CASES in The Hobby at LOW, LOW, LOW Prices. Don't be the guy who says, "That could have been my picture." Come in TODAY and have some fun.